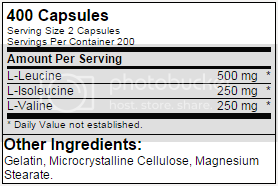 BCAA 1000 Caps has a rating of 5.0 stars based on 2 reviews. What Is It: Branch Chain Amino Acids are the building blocks of muscle. When one drinks a protein shake, eats protein in their diet, this macro nutrient gets broken down and fed into the muscles for growth. 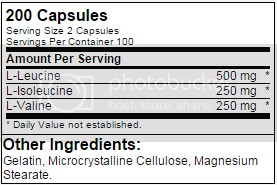 Optimum has made this product to give you 1 gram of BCAAs in pill form. You can take this anytime throughout the day for muscle recovery and muscle growth. How It Works: The BCAAs will help reduce soreness and rebuild muscle faster. Use: Take in the morning, intra workout, or before you go to bed.